Today was a day I will never forget. 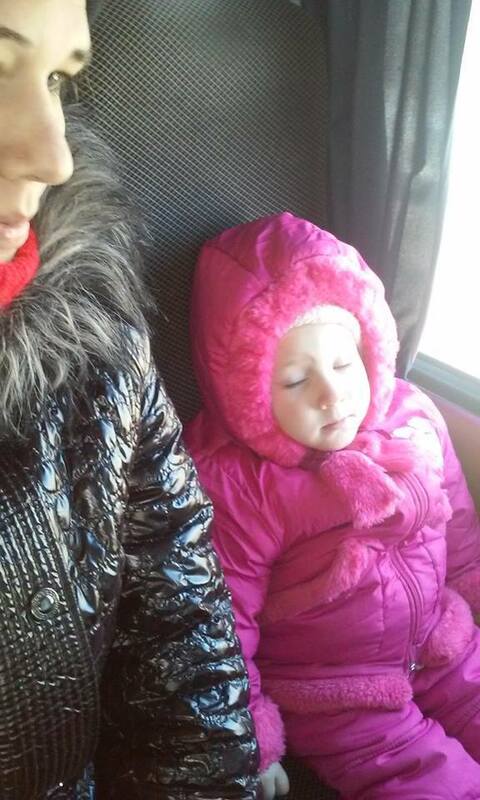 We were evacuating from the hot zones in Donetsk and Hirlovka. Some people left their homes still intact, some homes were half destroyed, some left behind mere ruins which they used to call their home. 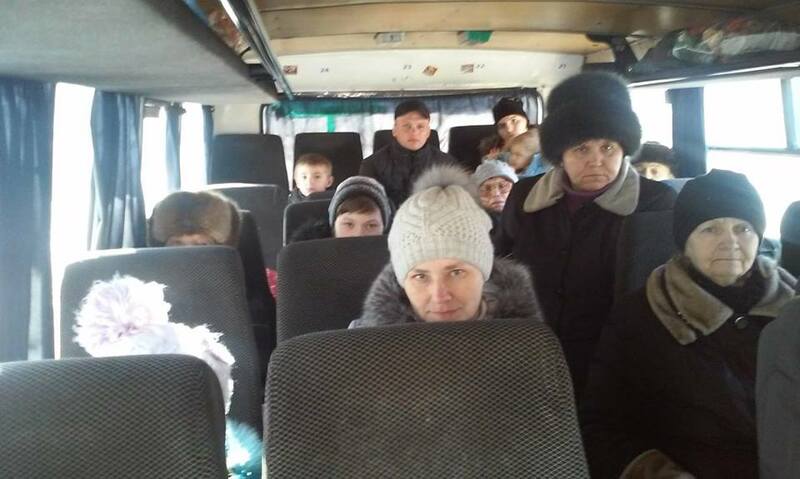 Whatever the case, people were leaving for free Ukraine, planning to build new lives in their own home country. To my great disappointment “free Ukraine” greeted their citizens with the steel armor of animosity. It was at this point that an epic 6-hour long saga commenced. 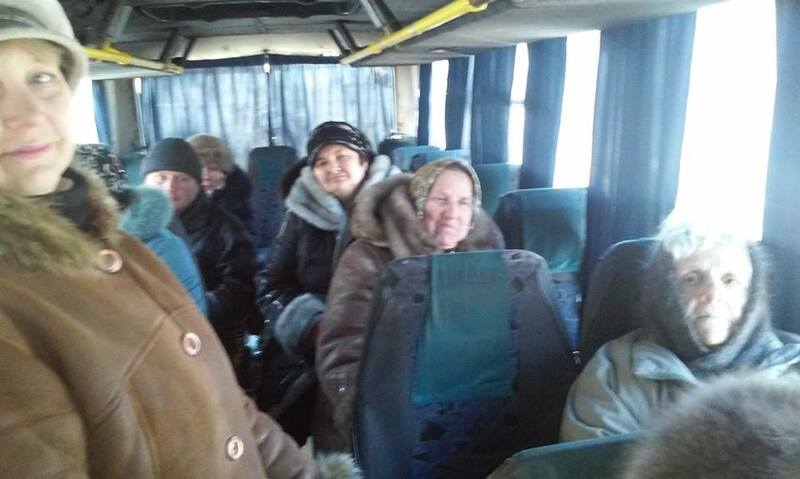 I took my time explaining that we specialize in evacuating elderly, women and children, that these people are not able to wait for the required ten days, that they are running away from certain death and are looking for refuge in the unoccupied territories. All I was able to hear back was, “I can’t do anything, we have orders.” I asked them then, “What if these buses were carrying your mothers, your children? What then? Would you be still following your orders? Are you intelligent people or dogs obeying simple commands like ‘Fetch! ?’ ” I was neither listened to nor heard, whether I was asking nicely or not. One of them did reply, “If I let you in, I will lose my rank,” to which I replied, “You may lose your rank, but keep your honor and conscience!” Unfortunately, officers’ honor and conscience were not as near and dear to them as was covering their own behinds and keeping their precious ranks. I am not sure which one of my contacts worked, but after multiple verifications and record taking, we were allowed to get through the checkpoint. While the writing of the lists was taking place, I just stood there, watching these people as they were standing in a long line, out in the cold, going through this “census,” and felt very sad. How is it, that we, citizens of Ukraine, were reduced to the status of mindless cattle. This ‘ten-day pass law’ is in direct violation of the Constitution of Ukraine, Article 33: “Every person residing within the territory of Ukraine legally, is guaranteed the freedom of movement, freedom to choose place of residence, freedom to leave the territory of Ukraine, with the exception of certain limitations made by the government. A citizen of Ukraine will not be deprived of his right to….” And here we were, deprived of our right. Martial law hasn’t been established for fear that as soon as it happens the politicians would not receive credits in the government budget, which, every once in a while, gets embezzled from. New laws and rules are being passed, but nobody bothers to figure out a way to help people keep them. The generals are trading the lives of human beings for yet another star and an opportunity to cover their butts. BUT. We are Ukrainians. We are a freedom loving nation. We are not cattle, we are humans, we are not toys in the hands of our politicians, we are alive. Our children deserve to live in a different Ukraine, where the rights and values of human life form the foundation of its government. 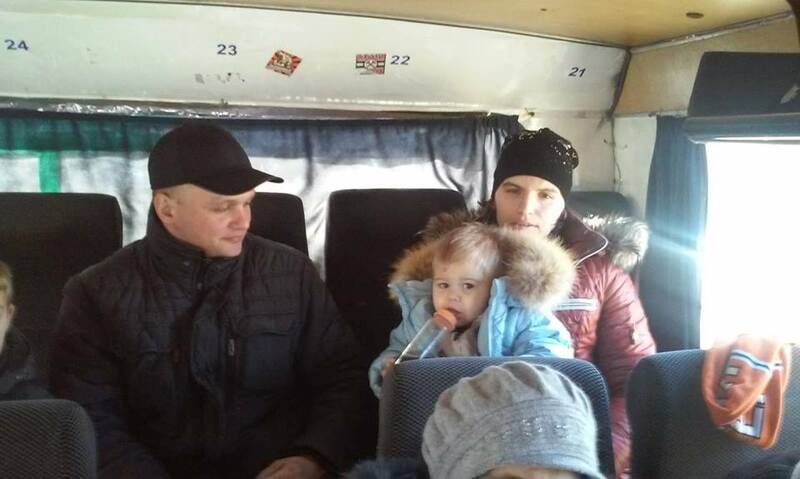 Tomorrow, there is a meeting planned with the staff of the Anti-Terrorist Operation in Kramatorsk to discuss the details of future evacuations. Yet even that is not as important as them starting to see us and treat us as humans vs. mindless cattle. So many precious lives have already been given in the fight for the freedom and the future of Ukraine. 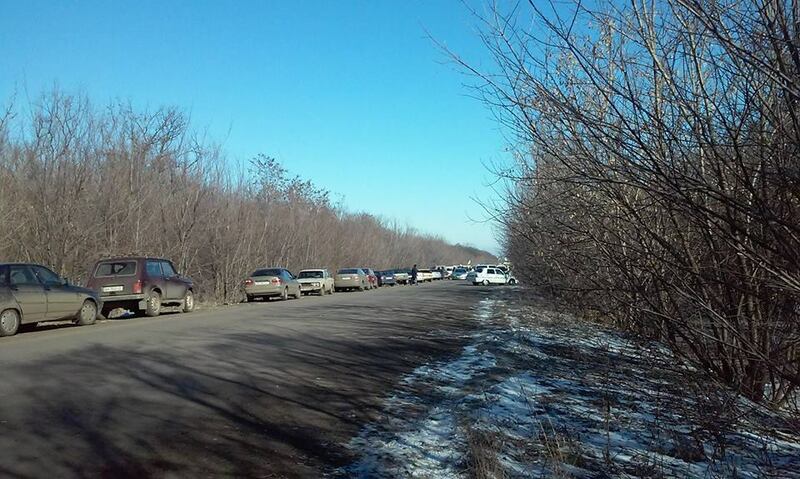 They have been talking about the Debaltseve hot spot for two whole months; they allowed for hundreds of warriors to be left fallen there, yet during the peacetalks and ceasefire deals Debaltseve was given up. And yet, these same “generals” are successfully waging war against women, children, and old folks, seeing each one of them as evil terrorists. In spite of all this, we were able to evacuate about 100 people today. En route to our refugee camp, I listened to yet another family tell about their multistory apartment building near the Donetsk airport. How it was bombed, how they and their children were hiding in the cellars, and how they thanked God for people like us. Today’s evacuation turned out to be quite a bit more expensive than usual – 11,000 UAH (about $406) since we had to pay the drivers for overtime and their hotel stay – they didn’t make it back in time before the curfew. But you know what, it’s just money, money that gets converted into the rescued souls of living human beings. This entry was posted in "Voices" in English, English, English News, Pictures, South&Eastern Ukraine, War in Donbas and tagged #FreeSavchenko, #freesentsov, #RussiaInvadedUkraine, #StopRussianAggression, #UkraineUnderAttack, ‪#‎dogooditspossible‬, humanitarian crisis, Ukraine. Bookmark the permalink.